Film Panel - If Not Now, When? As part of the 2015 Victoria Film Festival, If Not Now, When? 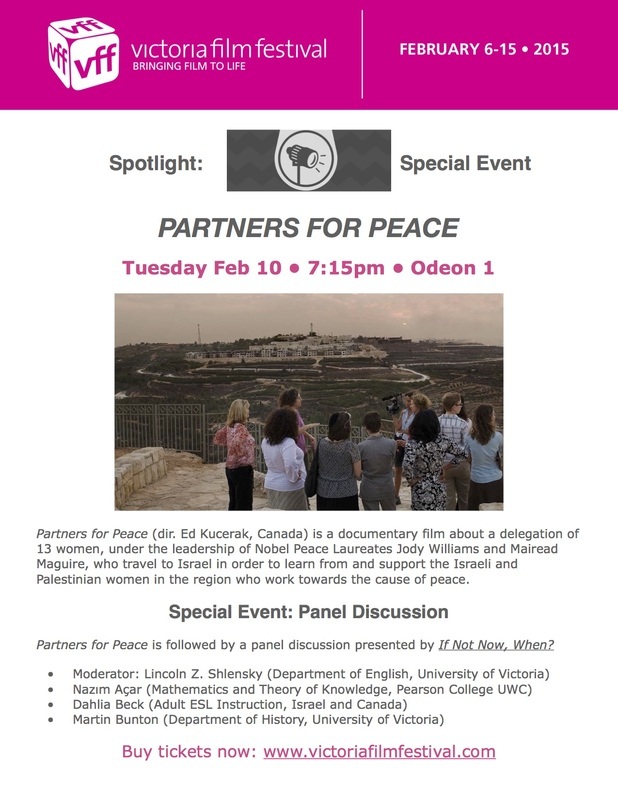 presented a panel discussion of the film Partners for Peace (dir. Ed Kucerak, Canada 2013). The screening and panel discussion took place on Tuesday, February 10, 2015 at the Cineplex Odeon Theater in Victoria. Approximately 200 people attended! The event announcement appears below (or, here's a PDF version). And here are some awesome photos from the event taken by volunteer Festival photog Penny Tennenhouse.